Courtyard Fort Lauderdale Beach by Marriott presents a premiere choice for families, couples, and business travelers to take in all of Ft. Lauderdale. Between Fort Lauderdale Beach and the Intracoastal Waterway, this hotel is 1 mile from the downtown Fort Lauderdale scene and 1 block from water taxi services. Besides lounging at the beach across the street, guests of this Courtyard by Marriott can relax in the sun on the second-floor pool deck or sit under umbrellas at the poolside bar. 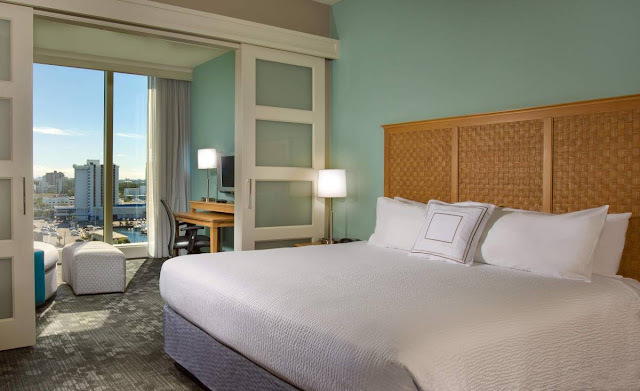 Courtyard by Marriott Fort Lauderdale Beach guestrooms offer views of the beach or the Intracoastal Waterway with floor to ceiling window views and complimentary WiFi.